=> How Many Dogs Does It Take ...? Well, I think I am at the tail end of this cold except I still haven't been able to get back on my normal sleep pattern. I have been sleeping when I should be up, and up when I should be sleeping. Starting to drive me nuts! Bella the dog got away from her owner. There's no definite explanation for how this occurred, and I have heard at least two different versions, both of which supposedly came directly from the owner. Either way, the dog ended up in a shelter to be adopted as she had no tags, no microchip or tattoo. Bella was adopted out to a lady after the waiting period required by the shelter. A couple of hours later, Bella's owner appeared at the shelter looking for Bella. The shelter allowed Bella's owner to call the “adoptive parents” and ask to return the dog. They even offered to buy the adoptive parent a pure bred puppy of the same breed as compensation. The adoptive parent declined, and, under the law, she had no obligation to return the dog. The original owner then started a publicity campaign, which since I live in the area, was rammed down everyone's throats. In the end, after dozens of anonymous hate messages were left with Bella's new family, they agreed to return the dog. I can see both sides of this issue, and I'm not going to get into a debate about it but, had Bella's original family been responsible dog owners, the whole episode would never have occurred. No collar, no microchip, and just exactly how did this dog get out? If the dog is an escape artist, and the owner didn't take steps to make their home secure, then that is their own negligence. Beyond that, fence or no fence, perimeter training at home would have made the whole thing a non-issue. Had I been the adoptive parent, I would have given the dog back. By all accounts, the original owner was a loving owner, and the dog was well cared for. I think the adoptive parent took the wrong approach, and I say "Three doggie farts for her!" At the same time, I heard no one addressing the issue of the original owners responsibility. I know everyone was identifying with Bella's original owner and imagining how they would feel if Bella was theirs. I see no problem with this, but I wish more people had looked at the whole issue. So, put the tags on your dog, as required in all fifty States and many countries around the world. Have your dog microchipped, and train them not to run off. God gave us this phenomenal animal and placed their care in our hands. We must be culpable for our actions as owners and do whatever it takes to ensure their safety. Just my two cents worth. Okay, I'm off the soapbox and outta here. Have a great week folks and we'll see you next week. As always, keep sending your letters and suggestions. They are greatly appreciated! P.S. Could you do me a favor? If you have a chance, and like the master-dog-training.com web site, would you please stop by Alexa and write up a short review for the site and newsletter. Just put master-dog-training.com in the Alexa search box. When the site stats come up, look for the link to "Write a Review." Thanks! We have been experiencing a problem with our dog recently regarding his aggression. He has been formally trained and does well with his commands and basic obedience. The problem is he has become aggressive towards all the other family members when they come home, or, at least, for the first twenty minutes or so. We have two children that the dog absolutely loves to play with, and he even becomes stand-offish with them when they first get home from school. He doesn't seem to mind if he wakes and everyone is home in the morning, only when they come home during the day. My husband is the Alpha and I am the Provider. The kids are his buddies and playmates. I do tend to let him get away with more than the rest and sneak him little treats now and then. We have followed all the instructions of our trainer regarding the pack and our roles. We have also reinforced his training consistently. He has never been spanked and the worst he ever gets is a loud “halt” when he is doing something wrong. Why is our beloved dog turning into a demon? Often, when I talk to people about their dogs and their inappropriate behavior, I hear the same resounding theme. It's either, "my husband is the Alpha and I'm the Provider" or vice versa. They talk about how their dog holds the "Beta" position and tell me how consistent they are. Frequently, these same people are having behavioral problems with their dog, which often include aggression toward the "Alpha." We've all heard trainers talk about the Alpha male role and how it applies to training. They all tend to use the general rules that apply to humans when speaking about the Alpha role. The problem with this is a family pack is very different from a family of all humans. I am not going to go on and explain Alpha roles in human families, but I am going to discuss the who, how and when the Alpha role applies to the family pack. First, we have to remember we're talking about dogs here. Not our kids, spouse, boyfriend or in-law. They are dogs and must be treated as such. That doesn't mean we don't love them like dear family members, it means we must treat them in a manner consistent with what they are, dogs. Until such time as my dog can fix my car or reasonably hold his own in after-dinner conversation, he will ALWAYS be a dog. In dog packs, everyone has their roles, and some hold more than one position. This is a normal and instinctual process that has served them well for thousands of years. There is a pack leader, commonly called the Alpha, however, he is not the only Alpha in the pack. He is the pack leader. There will also be a female who holds a leader position. Kind of like a king and queen. Let me try to make this really simple. Lets say I'm the youngest adult male in the pack and provide the sentry role, the lowest. Every other male that is older than me, and is also a sentry, is Alpha to me. As time goes on, I will work my way through the ranks and become Alpha over others through the process of natural selection or the inability of another sentry to perform his task. Now lets say I have grown and moved to the hunter position. I am now Alpha to all the sentries but am at the bottom of the ladder as a hunter. Once again, through the process of natural selection, performance and/or another hunters' inability to perform their task, I will move up in my position within the hunters and take an Alpha role over others. This process continues over the life of the dog and pack. Some dogs never progress past that of a sentry and are very happy with that provided they have all their instinctual needs met. Kind of like people, some are happy to sit in the mailroom and some want to be the President of the company. Nature seems to have provided a nice balance to the process and the pack thrives. When you think about it, it's not much different than the corporate world. The ones that perform in a superior manner get recognition and move up through the ranks. Those that don't, stagnate in the same position. The difference with the dog pack is they all see their role as vital to the whole and don't necessarily worry about personal gain. I mean, hey, they don't have mortgages, car payments and credit cards to pay off. It's a group effort with everyone working for the whole rather than the individual. Beyond that, in dog packs, it is not the high-ranking members that toss out an incorrigible out of the pack. It's the junior members that will take his position or banish him from the pack altogether. The only exception is if the junior members are unable to do so, then the pack leader will intercede. Then, the pack leader will allow the junior members of the pack to compete for the ostracized dog's position. Pack status and position mean everything to a dog. If they are recognized for their role, and all the other pack members are doing their job, it's a cohesive environment where all can flourish and feel content with where they are. If there's a break in the cycle, it is dealt with swiftly and for the better good of the pack. No egos, just the good of the whole. You know who I tend to see with the worst behavioral problems with their dogs? The people who tend to treat them more like humans than dogs. They allow the dog to interact in the family as an equal to all others, and forget they are dogs. This doesn't mean they don't love their dogs by any means. It does mean they're neglecting the natural instincts and learning process of their dog. As a result, the dog misbehaves. In the family pack, the dog must always remain at the bottom of the social ladder. They must follow the commands and rules, regardless of which human family member is giving them at the time. In order for this to happen, all family members must assume Alpha roles over the dog, even if the dog primarily belongs to one family member. There should not be any bending of the rules by one family member in the absence of another. In the letter writer's case, she has taken on the role of the loving mom who allows certain behavior to occur even though it's generally against the house rules. 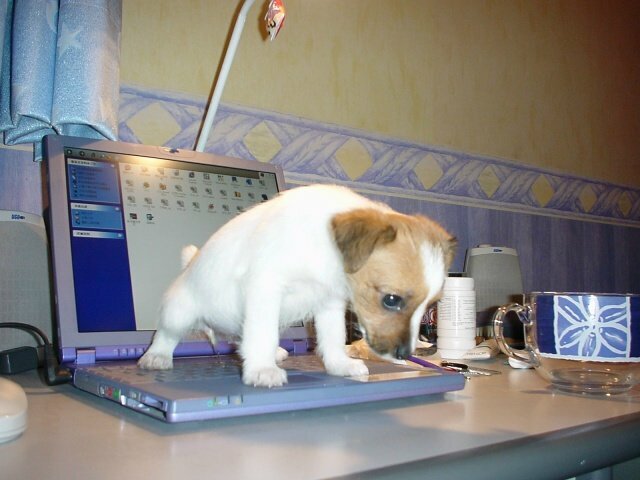 This puts the dog in an equal or greater pack position with the writer, as the dog is able to set his own rules of appropriate behavior. As a result a “sub-pack” has formed where the dog is ruling over one of the humans in the family pack. To the dog, they have just assumed a position of status they are not likely to want to relinquish. They have just taken over the position of a human. Their behavior toward other humans that are not in the dog's sub-pack will now be seen as challenging since the dog will instinctually believe he can then dominate other humans in the home. This will instinctively lead the majority of dogs to inappropriate behavior, excessive barking, growling and biting. As a result of this, all human pack members must be Alpha to the dog(s) in the family pack. All dogs in the family pack need to be treated in a way a dog knows is instinctively correct. Failure to do so is not only an invitation for inappropriate behavior, but is also an insult to the dog as well. Next week we will discuss the common mistakes we make that allow the dog to assume a higher pack role and how to redirect our dogs' behavior if it has already occurred. The German Shepherd Dog is also known as the Alsatian. It is handsome, well proportioned and very strong. The coat most often comes in black with tan, sable or all black, but also can come in blue, liver and white, but those colors are considered a fault according to most standards. White is not an acceptable color for the German Shepherd, they are now being recognized as a separate breed, called the American White Shepard. The nose is most often black, but blue or liver still do sometimes occur, although is considered a fault cannot be shown. It has a sturdy, muscular, slightly elongated body with a light but solid bone structure. Its head should be in proportion to its body, and the forehead a little convex. It has a strong scissors bite, ears wide at the base, pointed, upright, and turned forward. The eyes are almond-shaped, never protruding, dark, with a lively, intelligent expression. Its bushy tail reaches almost to its hocks and hangs down when the dog is at rest. Its front legs and shoulders are muscular, the thighs thick and sturdy. It has round feet with very hard soles. 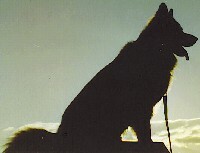 There are three varieties of the German Shephard: rough-coated, long rough-coated, and the long-haired. The German Shepard (GSD) is the most commonly used working dog in military and law enforcement around the world. They are extremely loyal, fearless and determined in whatever task they are put too. They learn new tasks quickly and will readily adapt to new surroundings and people if they've been properly socialized as a youngster. They require obedience training from an early age as they can be a little strong headed when they are adults without it. They will do well with children in the home and ones they don't know who mind their manners. They are socially dependent on their family and enjoy close interaction with them whenever possible. As a result of poor breeding practices, it's imperative that you do your research before purchasing this breed. Its popularity hit a peak in the 1940s, and, as a result, many profit-based breeders have produced many lines that are simply garbage. This isn't a daunting process, just a matter of checking references from the breeder and obtaining copies of veterinary records from the breeder. Any breeder who won't provide this information is being obstinate for a reason. When selecting a GSD, you want to look for one that isn't skittish or shy. You want them to be friendly and outgoing that will also (this is more with the adults) allow you to place your hands anywhere on its body, without exception. The breed can easily be turned into a fear biter so an easy approach in training will produce the best results. By finding one that is outgoing and confident you lessen the chance of uncontrolled aggression in the future. There is no doubt the GSD is a true working dog and needs to be treated as such. Ideally, they need a job in order to feel secure in their pack position even if the job is simply playing a hearty round of fetch. Without a purpose, they can become destructive and overly protective. Give them a job or they will find one. This is actually quite easy to do with the breed as they excel in numerous activities and sports. They are an excellent competitively in everything from tracking, obedience, agility, ring-sport and disk competitions. As true working dogs, they are, in my humble opinion, the finest police and rescue breed around. 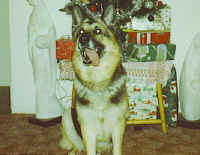 During my years as a K-9 officer, I trained the Belgian Malinois, Dutch Shepard, Golden Retriever and Chow. All of these breeds are good, but, over all, the GSD leaves them in the dust. They excel at protection, narcotic and explosive detection, scouting and guard and bark to name a few. If I were ever to go back into the field of law enforcement, a GSD is all I would work. The GSD is not an appropriate breed for an apartment and will do best with at least a large yard. They can become bored if cooped up and will find ways to amuse themselves in your absence, usually with your household items. They require extensive exercise daily and should have ample toys to keep them occupied when they're alone, even if they are left in the yard. The breed ranges in height from 25 to 30 inches (61 cm. to 70 cm.) and weighs from 80 – 100 pounds (39 – 55 kg.) From my experience, I have found the larger of the breed to be steadier and healthier, but can't explain exactly why this seems to occur. Indiscriminate breeding has led to hereditary diseases such as hip and elbow dysplasia, (be sure both parents have had their hips certified at least OFA good) blood disorders, digestive problems, epilepsy, chronic eczema, inflammation of the cornea, dwarfism and flea allergies. Their life expectancy is twelve to fifteen years. They are constant shedders but not excessively. A daily brushing won't make it an issue. Twice a year, they will generally have a major shed where they loose their undercoat and replace it in preparation for the spring and winter seasons. Bathe them if they stink but keep in mind some can be prone to dry skin so they should be watched for this and have either their diet regulated or supplements added to prevent this from being a concern. The breed is a combination of long-haired, wire haired and short haired shepherds from several regions of Germany to develop what is known as the GSD of today. In 1899 Capt Max von Stephanitz registered a dog, named Horan, as the first GSD or Deutsche Schaferhunde, which means German Shepard Dog in English. Currently, only the short haired versions of the breed are recognized but the long haired variety is also a beautiful beast as well, and, probably, my favorite variety. I've found them extremely loving and laid back, but with all the drive of their short-haired brethren. The GSD is a fantastic dog for the professional dog person or as a family pet. Consistent training, careful selection and lots of love will provide you with a lifetime of loving companionship and a trusted partner. Golden Retriever: The sun is shining, the day is young, we've got our whole lives ahead of us, and you're worrying about a stupid burned-out light bulb? Dachshund: I can't reach the stupid lamp. Lab: Oh! Me, Me!!! Pleeeeze let me change the light bulb! Can I? Can I? Huh? Huh? Can I? Old English Sheep Dog: Light bulb? Light bulb? That thing I just ate was a light bulb? Arf!